Episode 108 - "The FInal Psych" — How Was Your Run Today? 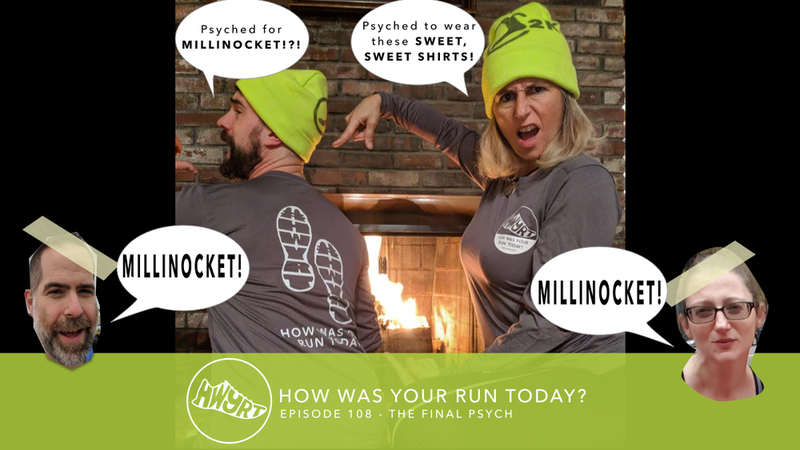 Episode 108 - "The FInal Psych"
Time to get PSYCHED UP for Millinocket! Peter, Bryan, Andrea, and Anna gather by the fireplace to talk about their goals for the big race weekend and what they’re looking forward to the most. They also provide a rundown of all the HWYRT events and how to participate. Plus, all new HWYRT long sleeve tech shirts are here! And, a special song from Jeff Cronenberg. Get ready to sing along! Lyrics to "Millinocket Crankle 2K"
It’s only half as long! the best race was the race the night before! Be ready to take all that off!